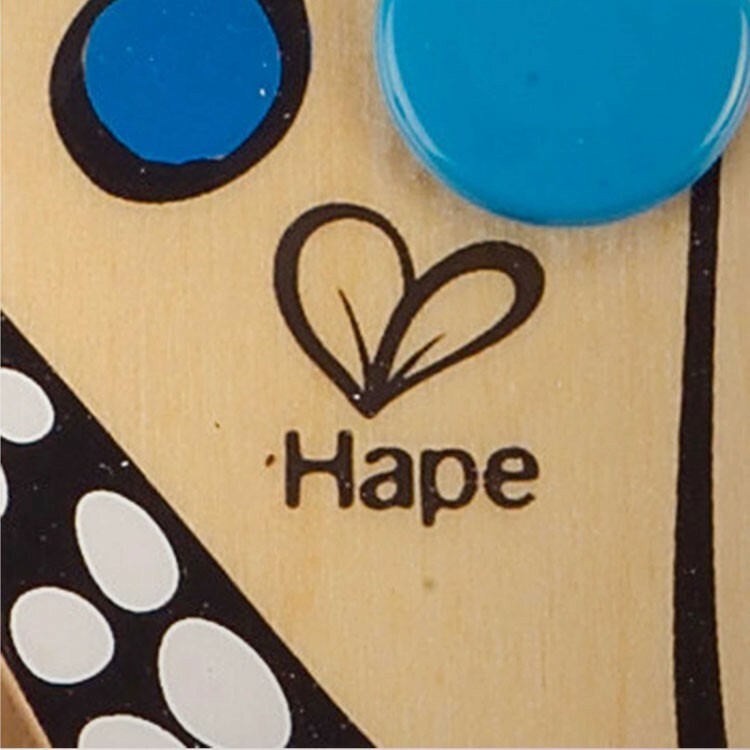 Guide the color marbles with the magnetic wand through the tracks of this butterfly shaped wooden maze by Hape. 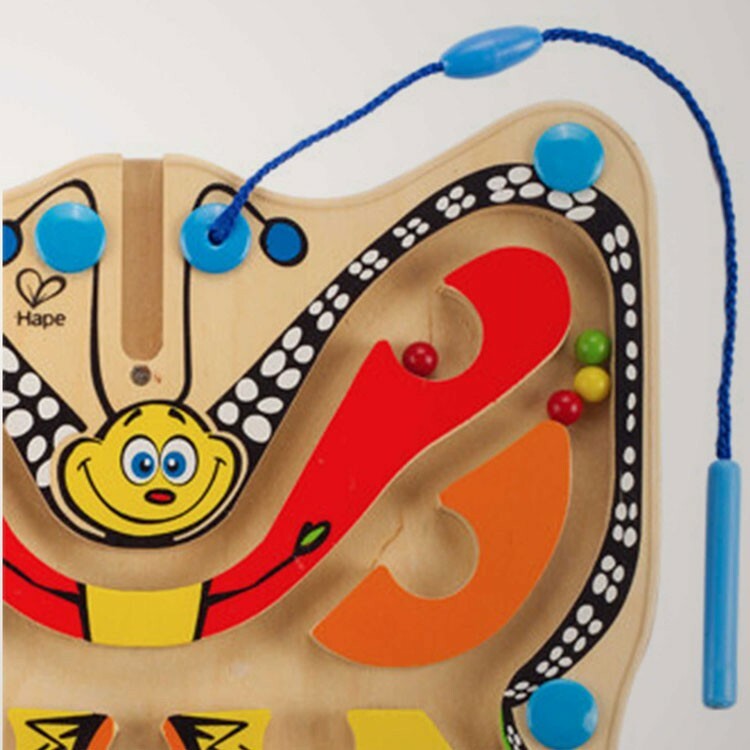 This smiling butterfly is a magnetic maze activity board for toddlers and preschoolers. 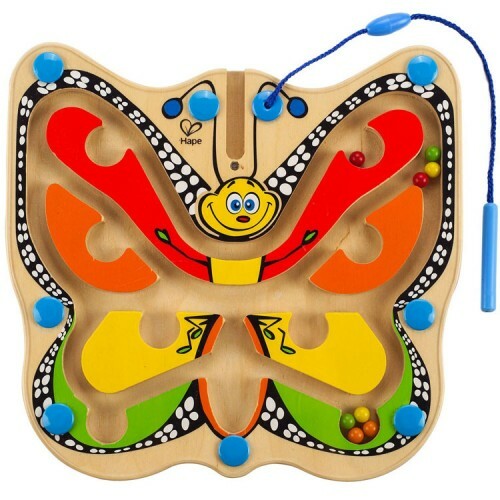 Color Flutter Butterfly Magnetic Wand Marble Maze by Hape is a single-player game, a fun spatial maze, and a small motor activity board in one developmental toy. 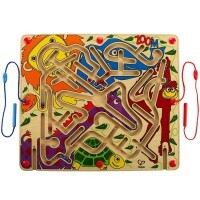 This wooden maze game features a butterfly-shaped board with the maze tracks that are permanently covered with the see-through plastic top. With the attached magic wand guide the marbles inside to different places in butterfly tracks. 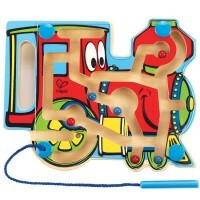 This Hape maze is easy to take along to grandma's house, car rid or plane trip. 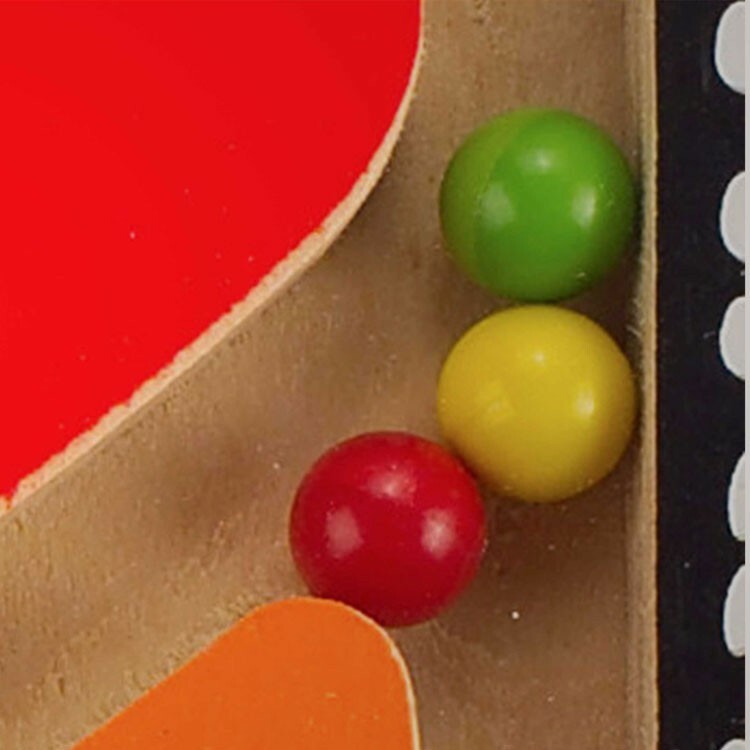 This manipulative activity toy, offered by Educational Toys Planet, meets the highest safety standards and all small pieces are non removable. 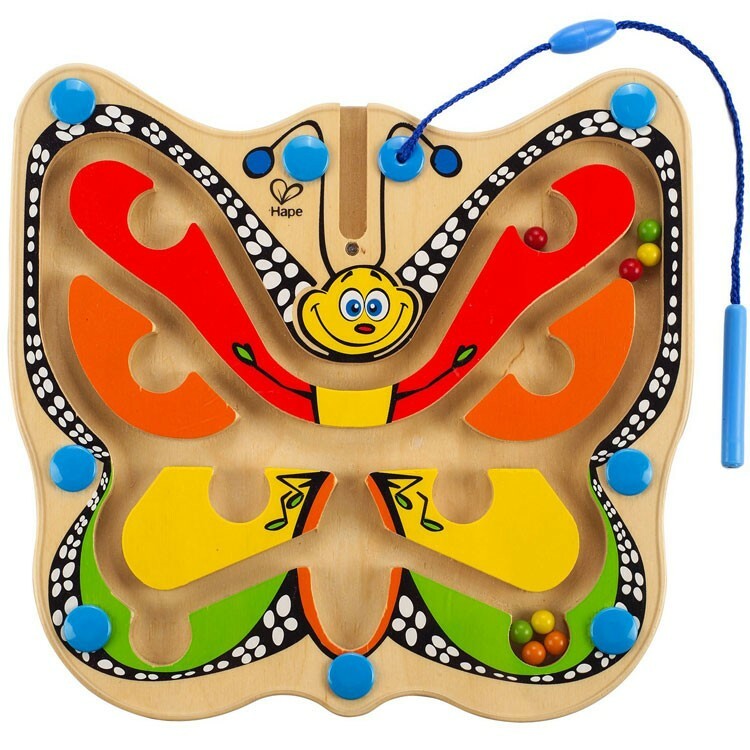 Learn your colors, develop fine motor skills and even enhance problem solving skills with this adorable Color Flutter Butterfly Magnetic Wand Marble Maze! 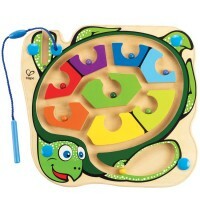 Dimensions of package 1.5" x 11.25" x 12"
Write your own review of Color Flutter Butterfly Magnetic Wand Marble Maze. Rating: 4 Still making up mind. by gal My Granddaughter could not quite get the idea. Maybe in a few months. I like the concept. Rating: 5 Amazing! by Bianca, WA My both kids (2 and 4 y.o.) love this toy. Great quality and value. Will buy again here. Rating: 4 Not easy for my grandson by Lorene, GA Frustrating for my 2 1/2 yr old as he wanted to play with/hold the balls that are inside the puzzle. We'll try it again when he is a little closer to the recommended age of 3. Rating: 5 Works fine for our tot! by Margaret, PA We like the toy very much. 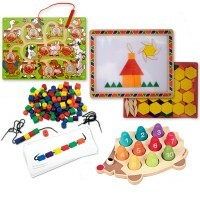 It was easy to order from Educational Toys Planet. We received the order in 2 days. 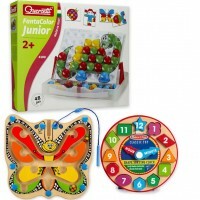 We LOVED the website and their toys! We'll be back shopping here. 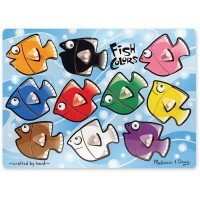 Rating: 5 Great toy for preschool classroom by Dana S., VA I ordered this item for my class. 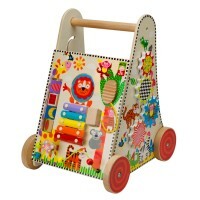 The children love playing with this toy. Good quality and educational value.